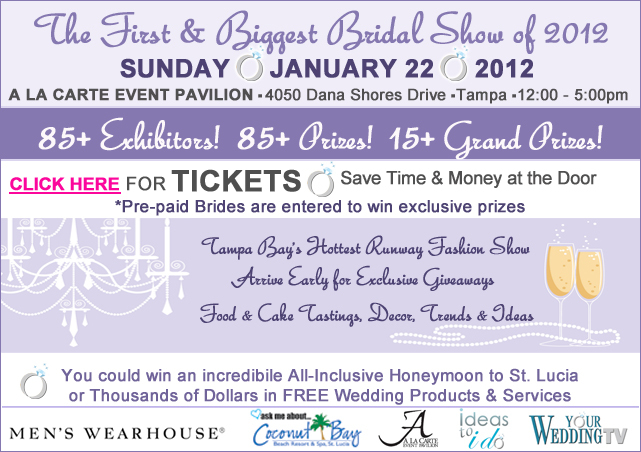 Nothing like attending your first bridal show after your engagement. Caution though, it can be a little overwhelming! Treat the experience like a fabulous party: don’t spend all of your time with just one person, mingle and work the room. You can always set up a consultation if you really click with someone. Also you don’t have a make a decision to pick a vendor on this day. Start following those you are interested in on Facebook, Twitter, or sign up for their emails; there’s a good chance they’ll send you a discount! You’ll be filling out your name, address, email about a hundred times, so pre-print some address labels and just stick them to the card. You’ll writing hand will thank you! 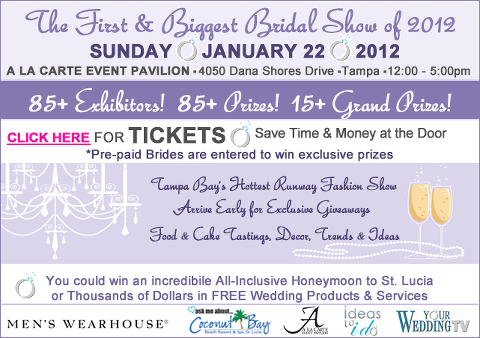 Marry Me Money-saver: Pre-register online and save 25% on tickets!